A recent report by usability guru Nielsen on the iPad reiterates a common understanding about the iPad, which is that it’s mostly for media consumption. Email is “the only slight exception to the rule.” This might be true now but it is not a sign of things to come. The main reason why consumption is more prevalent is simple: good consumption apps far outnumber good creation apps. The internet started out the same way until Web 2.0, Cloud and SaaS. The ultimate example of mobile creation – microblogging (Twitter), photography, notes, to-do and other productivity apps aside- are in fact the Apple apps. Garageband, Pages, and Numbers are excellent examples of creation on the tablet. Especially iMovie on the iPhone I find extraordinary. I’ve created over 15 iMovies ( a mix video, photo’s and music) and loaded them onto YouTube in HD straight from my iPhone. 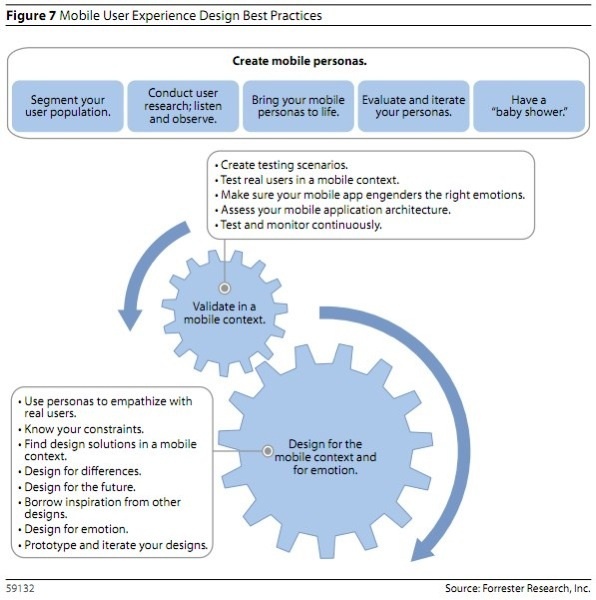 The trick is to figure out the usability and tasks and refitting them to the mobile form factor. It’s design led by format as oppose to desktop-based workflow. 2. Apps or Web apps? A Forrester report stated, in general, to do both because it deemed the distinction irrelevant. But here’s the quote from their blog post: a majority of consumers across the globe will access the Internet, not apps. This is especially true for areas which do have ubiquitous and ambient connectivity. Those areas are expanding. Moreover, real-time and streaming will always be preferred over sync, update, and download. I heard somebody once say: You need real-time data if you want to cross a street. Just as Cloud and SaaS are getting the traction we should not revert back to the notion of “installed software” and its drawbacks. 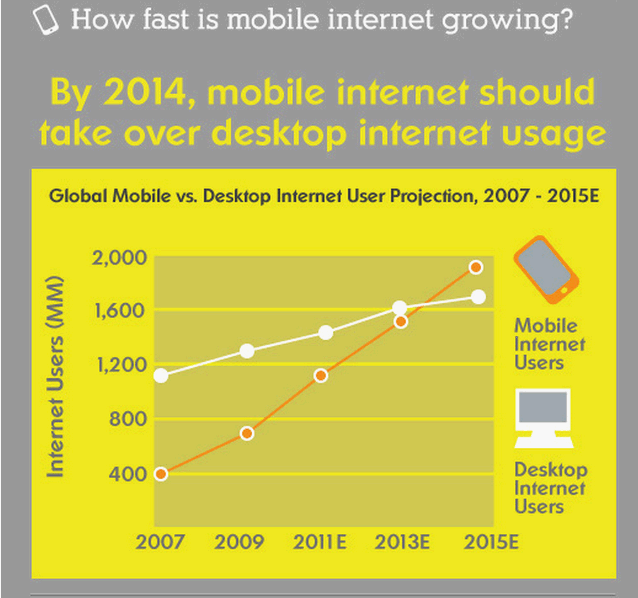 Taking the above into account the question is not if but when mobile will replace the traditional concept of a PC. Laptops have already replaced the workstation in most business and homes. Smartphone are doing the same with cell phones just as the iPhone is replacing Blackberry. Did You Just Call Me a ‘Customer’? 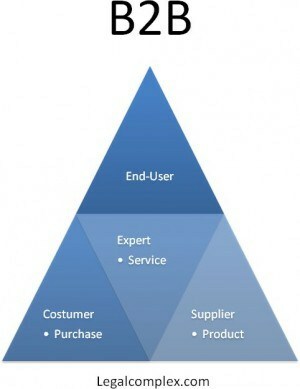 In a business to business market (B2B), we often refer to ‘the Customer’ as the End-user which is not necessarily the case. Contrary to business to the consumer market (B2C) there isn’t always a direct relation between the purchaser and the End-user of a product in B2B. However, after recent very successful launches of consumer devices and services this differentiation has become distorted. So instead of focusing on the Customer, focus instead on the persons actually pushing the buttons. Customer: an entity (e.g. the enterprise ) which will ultimately foot the bill and is the main driver behind the purchase of a product. Now all three types of users use a product in a different way but they are equally relevant. The End-user uses a product more directly. For the Expert the product would be more a means to an end. The Customer in this definition wants a Return On Investment (ROI). All three users have legitimate uses for a product and must be considered when developing. However, when it is time to set priorities these three different uses might become a muddle. Example: some business analytics tools come packed with shiny dashboards and gauges. The Customer would be pleased with exposing business critical information. The Experts is satisfied with the prospect of solving a business need. The End-user is – in this example: the person needed to input data in order for the analytics to work – livid with anger and frustration. The causes may vary from no process in place to produce data to feed the tool, the tedious fashion for inputting or importing data or complex configurations to get information into the dashboard as required. In any case, being the End-users will feel more like a Patient, begging for a cure from a Doctor. Traditionally, enterprise tools have put more empathize on the Expert and the Customer and who could blame them? For knowledge portal development these user roles are somewhat similar with one important distinction: the End-user has by far more power and influence. Hereby the End-user does the actual information retrieval (searching & browsing) on a daily basis. The Experts monitors the comprehensiveness, proficiency, and efficiency for the Customer who sees that as its ROI. Now comes the hard part: Who do you focus on when developing knowledge tools or services? Especially when features request keep piling on and requirements keep coming in. A specific feature might benefit all three equally but that will not always the case. One must always strive to satisfy all three users but if deadline pressures mount (or common sense prevails) you’re likely being forced to choose. For example, a feature, which is perceived to be crucial for End-users, might raise the cost of a product tremendously which in turn isn’t beneficiary to either Expert or Customer. Much to the chagrin of IT, Security and Compliance consumer devices and services e.g. iPhone, Google Docs, WordPress, and Dropbox have been making inroads into enterprises by way of End-users. These tools have in common that they are squarely aimed at them and not Customers. I will not venture and say that they have a really inmate relationship with their users but they do have succeeded in pleasing a lot of them. Enterprise tools have a spotty record in that regard and – in some cases- have been forced to make way for these competitors. A trend started by influential End-users that have been pleading their case for fewer restrictions and more convenience resulting in productivity. We’ve all received corporate emails signed “Send from my iPad” knowing full well that iOS is not supported in your enterprise. It might not be easy spotting End-users gains as oppose to those for Expert or Customer, but betting on them will surely pay off in the End.